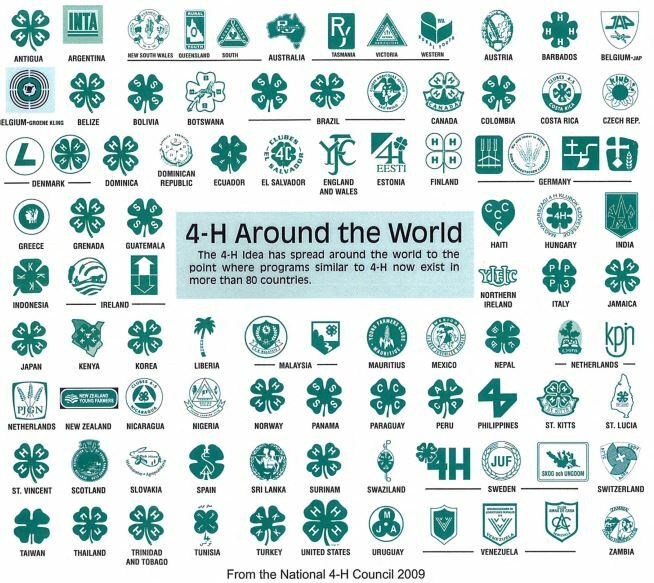 Binders will be available for check-out for another club to use and add to it for year 2 of Special Emphasis: 4-H International. Get yours and get started on your 4-H International Special Emphasis today! Check out all the different tabs in your binder. Have different members in your club write a paragraph or two about the tab they choose and then share it with your club. Include things about that country’s 4-H that might be different or the same as 4-H in the U.S.
Find a recipe native to that country for the club to try – include it in the binder. Make some games — maybe a word search or floor game. Fill your club’s binder and have FUN with it! Use your imagination and make learning about this country FUN!